Here, with some basic information, are the nine children, in birth order. Minnie's oldest son. Born in 1883 in Tetiev, Ukraine to Minnie and husband Aaron Linetzky who died several years later. In 1907, age 26, he married 24 year old Rose (Chaya Rachel) Shpeen. They soon left for Cleveland via New York. Beryl then arranged for the family to come to Cleveland. He was in the barrel business, but not in Klausner Cooperage, until he died. Lived on Thornhill Drive in Glenville (near Sam and Minnie) then moved into Philips Avenue house when Sam and Minnie left it for the Heights and lived there until his death in 1947. Eight grandchildren, 10 great grandchildren and four great-great grandchildren. Ben died in 1947, age 64; Rose died in 1969. They are buried in the Tetiever cemetery section, next to Sam and Minnie Klausner. Sam's oldest son, born near Tetiev, Ukraine in 1890 and worked as a cooper with his father. Came to US in 1908 at age 18. Started peddling barrels, then became a founder and president of Klausner Cooperage. Married Mary Weisberg in 1915. Moved to Tullamore Road in Cleveland Heights in 1916. Later Ben and Jake would buy homes nearby. In 1934 moved to Aldersyde Road in Shaker Heights. Four daughters: Beatrice Gray, Doris Klausner, Arlene Wagman and Evelyn Casselman. Eight grandchildren. A member of "Silver's Temple" - Tifereth Israel (Reform) and would go each Sunday morning to hear Rabbi Abba Silver's sermon. Died 1945, age 55. He and his wife Mary are buried in the mausoleum at Mayfield Cemetery. In 1941 his gift brought the Yizkor plaque from the New York Worlds Fair to The Temple sanctuary. Sam's second son. Born near Tetiev, Ukraine in 1892, where he worked as a cooper with his father. Came to US in 1908 at age 16 using a passport borrowed from a friend. Was a founder of and vice president of Klausner Cooperage. 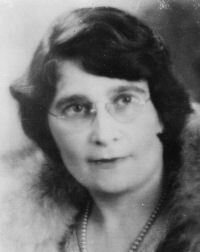 Married Dora Stephens in 1920. Three children: Bob (1923) and twin daughters, Ruth Abelson and Penny Friedman (1926). In 1929 they moved to Tullamore Road in Cleveland Heights and in 1936 they built a house on Laurel Road in Shaker Heights where the twins were married in a double wedding ceremony in 1948, Rabbi Rudolph Rosenthal officiating. Bob had two children and Ruth and Penny had four each, so Ben is survived by ten grandchildren. Ben and Dora were life-long members of Temple on the Heights (B'nai Jeshurun), which they joined in the early 30s. 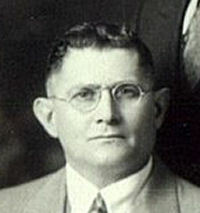 Ben died in 1957, age 65, and is buried in Glenville Cemetery. Tried to come with father in August 1910, but refused boarding because of an eye infection. Came to US in November 1910 at age 17 with mother, brother Abe and sisters Sarah and Rose. Worked in Klausner Cooperage and directed the plant operations making wooden barrels. Married Kate Cohen in 1920. Four children: Irene Sammet, Robert (Big Bob) Klausner who served in WWII and was a prisoner of war, Alvin (Abby) Klausner and Mickey Klausner and 14 grandchildren. Lived in an apartment building on Wade Park Avenue, then moved to Kildare Road in Cleveland Heights. Died 1976, at age 83 Buried in Glenville Cemetery. Born near Tetiev, Ukraine December 12, 1896. Came to US in August 1910 at age 14, with father Sam and brother Harry. Married Issie Klotzman in 1919. Issie had come to Cleveland in 1907 and was a butcher. Three children: Betty Bernstein, Ruth Yelsky, and Fred. She and husband Issie are buried in the Tetiever section of Ridge Road #2 cemetery. For more on Mary and her husband Issie, click here. 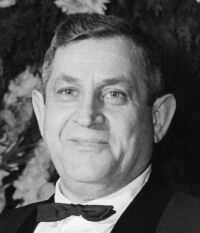 For more on Mary's son Fred Klotzman, click here. Born near Tetiev, Ukraine 1901. Came to the USA in 1910, age 9, with his mother, Minnie, brother Jake and sisters Sarah and Rose. 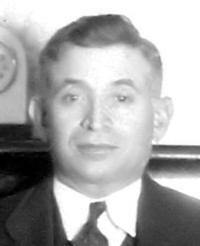 With his brother Harry, Abe started the A & H Klausner Barrel Company to refurbish and broker steel drums. 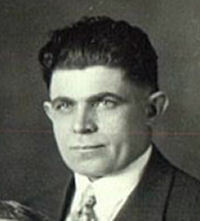 Married Bess Lieberman (from Akron) in 1932. Moved to home on Edgerton Road in University Heights. Had one child, David. apartments in Akron during the 1950’s. Died in 1960, age 59. Buried in Rose Hill Cemetery in Akron. Sam and Minnie’s youngest son. Born near Tetiev, Ukraine in 1904. Came to the USA in 1910, age 6, with his father Sam, and sister Mary. 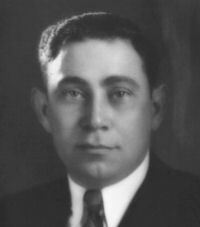 With his brother Abe, Harry started the A & H Klausner Barrel Company to refurbish and broker steel drums. 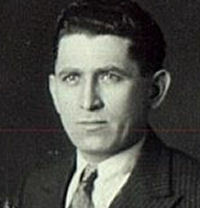 Married Pearl Goldstein in 1928. They had three children, Elaine, Morton and Terry. Moved to home on Clarendon Road in Cleveland Heights in 1929. Then moved to Gates Mills Blvd. in 1957. Died in 1960, age 56, six months after his brother Abe died. The youngest daughter and youngest child. Born near Tetiev Ukraine in 1908. 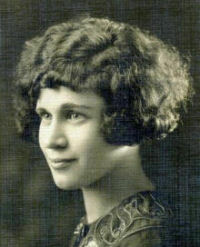 The only Klausner child to graduate from high school (Glenville), Rose also went on to graduate from Flora Stone Mather College of Western Reserve University. Morry, a pharmacist, and Rose owned and operated Noble Drug on Noble Road in Cleveland Heights. which in later years became Noble Photo & Art - and later relocated to Van Aken Boulevard in Shaker Heights. They belonged to (Conservative) Temple on the Heights (B'nai Jeshurun). After 20 years living near the drug store off Noble Road they moved to Summerfield Road in University Heights. Rose died 1983 at age 75. Time does not allow us to document the lives of all nine Klausner children and all their 27 children, so we have singled out one grandchild, Fred Klotzman, the first person we met on this project, and his mother, Mary Klausner Klotzman, Sam and Minnie's oldest daughter. 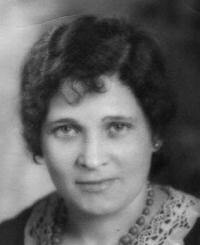 Continue to a page about Mary Klausner Klotzman and her husband Issie.